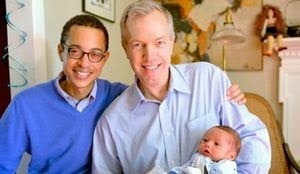 Gay Dads Australia: [USA] Obama nominates Gay Dad with family as US Ambassador to Vietnam - Amazing for Visibility of Gay Families!! [USA] Obama nominates Gay Dad with family as US Ambassador to Vietnam - Amazing for Visibility of Gay Families!! This is an amazing nomination. Not only a gay man but also a gay dad. Let's hope that the nomination is approved as this will be amazing for the visibility of Gay Families and a powerful statement to our GLBTI friends in Vietnam. If officially appointed, Osius will replace David Shear, who has held the position since 2011 and been recently nominated to be the next Assistant Secretary of Defense for Asian and Pacific Security Affairs in the Department of Defense. ...A known gay politician, Osius is now married to Clayton Bond, who is an officer with the US Department of State’s Bureau of African Affairs. [Victoria] Safe Schools Victoria - What Happened to your Safe Schools List? This sub-section of the Gay Dads Australia Website is designed as a reference and research tool for Gay Dads in Australia. 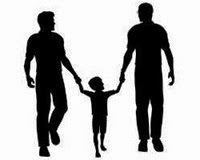 The articles reproduced here relate to how we as gay parents are portrayed in the media. Copyright for all articles remains with the original author. This site is provided purely as a reference resource. Gay Dads Australia | Rodney Chiang-Cruise 1999 - 2019. Powered by Blogger.